Like everything else, garage door openers have emerged proudly into the digital age. They are now so computerized, that there are people out there who fear that they may be sabotaged by hackers who may have their eyes on that nice car you have stored in there. The reason why it is so easy to attack and control is that there is a signal receiver inside your electronic garage door opener. This can be reprogrammed to open at the command of a signal not originating from your own input. You must be ready to prevent the invasion of the hackers. 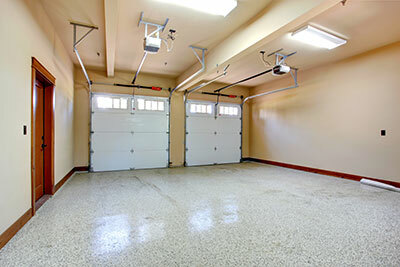 What can I do to protect my garage? The first thing that you should do is to seek out the fabrication date which will be written on your garage door opener. It will probably be somewhere close to the motor box along with all of the other numbers and bits of information that are put on there. Additionally, you can take a peek at the opener remote control and see if it has any information about security measures on your opener. A good example of security is a system which changes the digital opening code every time you open the door. This helps you keep one step ahead of any hackers who wish to copy any one signal’s signature. You can also find additional tips to help you stay out of the hacker’s line of fire by consulting them annual which came with the opener. This will contain tips and recommendations from the manufacturers of your particular model, and as a result, they will know exactly what to do for that precise system. If you still have doubts, feel free to give us at "Garage Door Repair Pinecrest" a call and one of our technicians will be on his way.